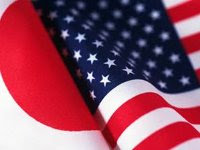 U.S.-based Hewlett Packard / HP has long relied on Japan-based Canon to manufacture its toner cartridges and laser printers, leaving HP particularly susceptible to any shortages resulting from the Japanese earthquake. HP has been experiencing shortages of the HP CE285A (or 85A) toner cartridge for months now, and just before the earthquake struck, we had heard that another SKU, the CE278A (or 78A), was in short supply. Canon had problems in ramping up production to meet demand for certain HP toner SKUs before the disaster in Japan, and now the firm obviously faces an even bigger challenge. Some of its manufacturing facilities have been offline for weeks, and transportation systems and other key infrastructure in Japan have been disrupted. Although more manufacturing facilities in Japan are coming back online, all it takes is a disruption somewhere in the supply chain, a shortage of a crucial component in a toner cartridge or laser printer, to impact Canon’s ability to manufacture finished SKUs. HP is obviously expecting to see some shortages and is taking the necessary steps to limit their impact by rationing distribution of some toner cartridges. We expect to hear more such news in the weeks ahead. As shortages occur, the law of supply and demand would seem to dictate that price increases will follow. We have an in-depth update on the crisis in Japan and its impact on the printer and supplies industry in the works. A new ink from Xerox Corporation (NYSE: XRX) will make it easier for print providers to produce high-revenue, offset-quality photo applications. Xerox’s new matte dry ink is designed for a range of print jobs, including the photo products consumers are demanding. According to InfoTrends, photo applications such as books, greeting cards and calendars are projected to be a $2.2 billion market by 2014. The ink is available on the Xerox iGen4® EXP, the latest model built on the award-winning Xerox iGen4 platform. The ink provides a consistent and uniform appearance across highlights, mid-tones and shadows – critical for ink-heavy applications such as marketing collateral, collages in photo books and full-page photographs for calendars and greeting cards. It also produces authentic skin tones and natural colors while maintaining fine detail in background images. Swiss-based Ifolor AG uses Xerox’s matte dry ink for digital photos and greeting cards, as well as specialty items including posters, photo books, writing pads and calendars. “We demand quality. With the iGen4 EXP’s productivity, combined with the new ink, we print high-volume, color-rich applications in minutes,” said Markus Wirth, chief executive officer, Ifolor AG. The iGen4 EXP offers more image area than competitive devices – translating to more sellable output and increased profits. The solution leverages Xerox FreeFlow® Digital Workflow Collection, along with software and finishing options from Xerox business partners, to streamline and synchronize the production process as needed. In conjunction with its 20-year anniversary, Lexmark International, Inc. (NYSE: LXK) announced an education initiative to promote math and science achievement in several local communities where Lexmark operates. The nearly $1.7 million in planned investments will advance science, technology, engineering and mathematics (STEM) education. The company's corporate philanthropic focus is on education, with a specific emphasis on science, technology, engineering and math – the foundational studies that technology and engineering-based companies like Lexmark are built upon. At the latest Community Day event at its corporate headquarters, Lexmark informed local community leaders that it plans to contribute up to $1 million to the University of Kentucky (UK) to support STEM efforts in the Commonwealth. The funds will be used to renovate and equip UK's STEM outreach center for P-20 (pre-school through graduate studies) math and science educators and students. Lexmark also plans to contribute up to $300,000 to Fayette County Public Schools in Lexington, Ky., to fund the purchase of laboratory equipment for its 12 middle schools, a critical need to support STEM resources at this educational level. * A $250,000 planned endowment to the University of Colorado, establishing a scholarship fund for students in the College of Engineering & Applied Science. The scholarship recognizes Paul J. Curlander, Lexmark's executive chairman and chairman of the board of directors, for his many years of service to Lexmark. * A $100,000 planned donation to a local magnet high school in Cebu, Philippines, to create the Lexmark Science and eResearch Lab, which will focus on technology research and education. * A teacher recognition program to highlight and reward outstanding science, technology and math teachers. Lexmark will model its program after a successful Perceptive Software recognition program in Kansas, and extend it to Kentucky, Colorado and the Philippines. Selected teachers will receive a $1,000 cash award to further math and science education in their classrooms. "Whether it's through volunteer hours, monetary contributions or in-kind donations, we believe it's imperative to give back to the communities that have long shown their support to Lexmark," said Paul Rooke, Lexmark president and chief executive officer. "Not only are we committed to recognizing educators and enriching the lives of students in the areas of STEM, we are focused on building the pipeline of future engineers and innovators that enable companies like Lexmark to succeed in today's competitive and fast-moving technology marketplace." "Lexmark and the University of Kentucky share a commitment to education in science, technology, engineering and math," said UK President Lee T. Todd Jr. "This generous gift will help to ensure our ongoing support of educational excellence at all levels for these important disciplines that fuel innovation and a brighter future for the Commonwealth." "The renovated building will house a training facility to provide professional development to Kentucky science and math teachers, a new lab for fieldwork-based ecology education, and a shared meeting room for community outreach," said UK Provost Kumble Subbaswamy. "Our math and science outreach operations will benefit from much-needed storage and work space, as well as a large area to assemble the educational materials that help science teachers encourage inquiry-based learning among Kentucky students." "Lexmark has been a great corporate citizen for this community for many years, and this is one more example of their outstanding support for education," said Fayette County Schools Superintendent Stu Silberman. "This gift will enhance our middle school science programs and help to further engage our students in the STEM areas. On behalf of our kids, we are extremely thankful."